The cabinet has approved the scrapping of the no-detention policy in schools till Class VIII and students will now have to take exams in class V and VIII. This has been done as the quality of education has dipped, especially in government schools. 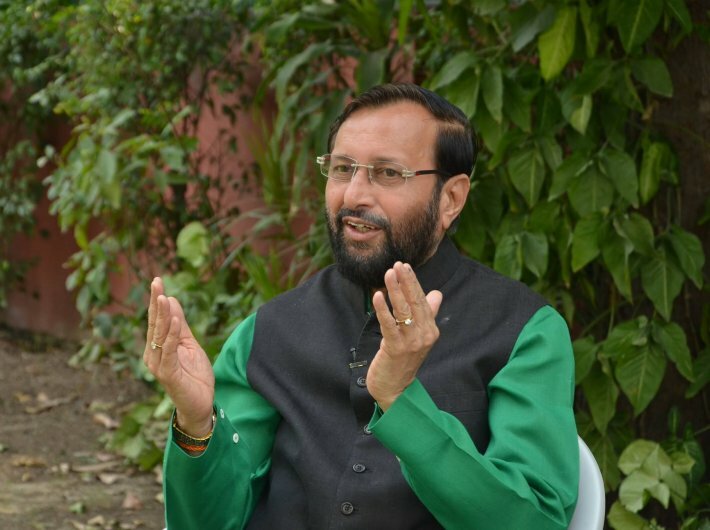 Union HRD minister Prakash Javadekar told Governance Now that detentions are being introduced in class V and class VIII. “In these classes the students will be given two chances – the first one in March and those who don’t qualify in it would get a second chance in May. Those who still fail will be detained,” he said in an exclusive interview. “It’s not about marks only. Examination is not only about achieving the position of number one or two; you can still go ahead with marks and give ranks or grades. You must make it clear to a student as to where he stands; even his parents would only then know his standing,” the minister added. We are reproducing excerpts from an interview with Javadekar. It has been a year since you took charge of the ministry. What is your biggest worry as in charge of education in India? My first priority – and that reflects my worry as well – is to improve the quality of government schools. It’s a tough job. Unfortunately, government schools which were much better earlier have deteriorated in two decades. That happened after teachers got more facilities – and I believe they must get it. After this, we saw they were lacking in motivation. There is a good lot among them and also a lot which is not so good. As a result of this, teaching in government schools has suffered. Then after the RTE [Right to Education Act] was brought in, there were no detentions in schools. This further reduced the accountability of teachers as he is not tested for anything. Therefore, we are now introducing detentions at class 5th and class 8th. In these classes the students will be given two chances – the first one in March and those who don’t qualify in it would get a second chance in May. Those who still fail will be detained. This will bring in the much needed accountability of teachers, students, parents and schools – all the stakeholders. But aren’t we going back to the square one, burdening schoolchildren with books, syllabi, examinations and the resultant tension and stress? These were the reasons for ending examinations. Writing examinations is not only about stress. Of course, making teaching only examination-oriented is a bad thing. But if there is no exam it’s also a bad thing. So, we must give examination to the students because unless you are given a challenge how will you learn to meet it? It’s not about marks only. Examination is not only about achieving the position of number one or two; you can still go ahead with marks and give ranks or grades. You must make it clear to a student as to where he stands; even his parents would only then know his standing. Otherwise, in survey after survey we are seeing that a student of class 7th is not able to solve the mathematical problem of the 3rd standard and student of class 8th can’t read the textbooks of class 5th. If that is the condition it’s only bad. However, we are leaving it to the states to opt for exams at 5th and 8th standards. Already 24 states want to implement this; four don’t want it [the minister refused to identify them] while one is yet to decide. In the system of cooperative federalism, we are acting as enablers and not imposing anything on the states. The CBSE has also reversed its decision on not imposing an examination on 10th graders. Why so? The reason is that in this country more than 2.5 crore students appear for the 10th class examination each year and only 7 lakh are given the option of not appearing. What is this? It’s wrong and total absurdness. Had you applied this [no compulsory board examination for 10th] to all states, one would have understood the logic. But when 25 million appear and only 0.7 million are given the option of not appearing for the board examination, this is wrong. Even within CBSE only half of the students would opt for not writing examinations. Everyone has welcomed our decision; there is 90 percent approval. They have welcomed it also because we didn’t announce it mid-term. The announcement was made last year and therefore nobody is angry.